To contact Kris about his books or having him sign your copy, please click here. Chad Griffin can't hit a baseball to save his life. When he steps up to home plate, he usually leaves after the umpire shouts, "Strike Three!" He always bats in the same spot for the Rangers—ninth—the worst hitter on the team. Even worse, he falls short of his dad's high expectations. But when the Rangers get a major-league all-star as their new coach, Chad's hitting begins to turn around. But hitting a baseball isn't Chad's only problem. 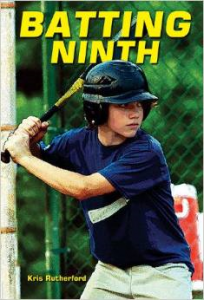 As his team strives for the championship trophy, Chad learns the value of playing the game the right way in this fast-paced fiction adventure. Blake Creekmore just cost his middle-school basketball team its shot at the district championship—and he’s not even on the team. 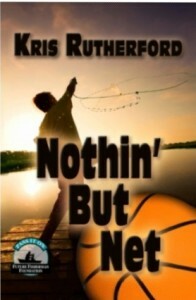 Blake would much rather be at a Boy Scout meeting than a basketball game and convinces his best friend Dustin, the school’s star athlete, to join him in an afternoon on the lake, where tragedy strikes. Dustin is injured and lost for the season, and Blake bears the blame of the team, the coach, and his classmates. Battling his guilt, Blake seeks refuge in the activity he knows best—bass fishing and enjoying the outdoors. With the support of his father, a local bait shop owner, and a most unlikely character, Blake learns the importance of friendship and what it takes to be a member of a team. And, in the process, he unwittingly teaches his classmates a few lessons about life and the environment as well.